Malaysian Council: Palm-oil no threat to wildlife! EMERGING warily from the forest’s cover a male orang-utan listens for danger. Believing he is safe, he leads his mate and their baby into the clearing. Suddenly all hell breaks loose. A dozen men spring from their hiding places, hurling a net over the family. The gang quickly club the male to death, rip the terrified baby from her mother’s arms, then douse her in petrol and set her alight. The baby orang-utan will be sold on for a pittance as a pet. This is happening each day in Indonesia and Malaysia. And we’re all unwitting accomplices, because each time we buy chocolate, margarine or toothpaste, it’s likely we’re driving the orangutan [and Proboscis Monkeys] to extinction. In 15 years, South-East Asia’s orang-utan population has halved to fewer than 60,000 and there could be none left in just 12 years. The reason is palm oil – now the world’s favourite vegetable oil, used in thousands of products and consumed by a billion people a year. 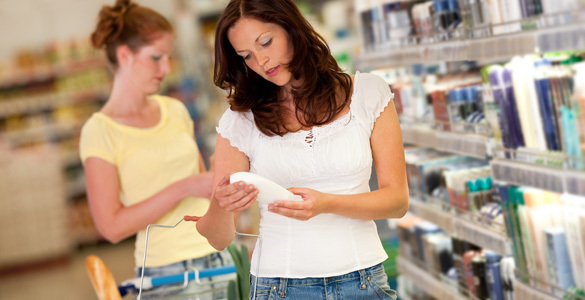 One in 10 products on supermarket shelves contains it. It’s cheap, versatile and, with no cholesterol, very healthy. For the end consumer, at least… Britain imports 914,000 tonnes a year, making us the second biggest European importer after The Netherlands. Almost all of it comes from Indonesia and Malaysia. No wonder they’ve scheduled 22.5million acres of forest for clearance. Not all palm oil plantations are killing orang-utans but, as their habitat is razed, the species is paying a terrible price. Friends Of The Earth’s Ed Matthew visited a forest in Kalimantan, Indonesia, in 2004 and saw lush plant life and a thriving eco-system, complete with orangutans. When he returned last November, it was a different story – the whole forest had been cut down and torched, replaced by a silent, barren plain ready for planting oil palms. “The saddest part was knowing that a family of orang-utans I saw on my previous visit were now almost certainly dead,” he said. Some palm oil firms log the land then burn remaining vegetation, a practice that led to the devastating fires of 1997 and 1998 that destroyed 25,000sq miles of forest. “The burning isn’t legal but the country is so corrupt 1,000 fires are lit every year,” adds Matthew, FoE’s corporate accountability campaigner. The drive for increased production means it’s not just the orang-utan that’s threatened. Many other species also face oblivion, including the Sumatran tiger, elephant and rhino, along with gibbons and tapirs. “We need international cooperation now to address this crisis,” says Dr Willie Smits, chairman of the Borneo Orangutan Survival Foundation. The spiralling demand for palm oil is also taking its toll on the indigenous population. Millions are having their land stolen and stripped, says FoE, while many proterol, testers have been tortured or killed. Pressure groups want the industry more tightly regulated and are urging Britons to put pressure on supermarkets and politicians. FoE wrote to 96 UK firms asking them to trace the source of palm oil in their products. Of the 18 that bothered to respond, none could say if it came from non-destructive plantation sources. The Malaysian Palm Oil Promotion Council defends its profitable cholescrop. It says there’s plenty of legislation regulating the industry and no evidence of any threat to wildlife. It adds that palm oil is a “well planned agricultural industry”. In a bid to find a way forward, the World Wildlife Fund has asked more businesses to join its Roundtable on Sustainable Palm Oil, an association set up in 2003 and comprising members from all along the supply chain. While supermarkets including Asda, Waitrose and the Co-op have joined, Tesco and Iceland have not. An Iceland spokeswoman says that its suppliers have a policy which requires that alternative sources to palm oil are reviewed where feasible. It may not be too late to save the orang-utan from extinction but, as the roar of chainsaws rings through South-East Asia, the moment gets ever nearer. After a first travel in Malaysian Borneo on 2002 she created this .ORG and she's still keeping going to inform people about this valued but endangered species. I am doing a project in my science class on these monkeys and find them fascinating. SAVE THEMM!! Palm oil-diesel. Extinction and climate disaster. DON'T LEAVE THIS SITE WITH NO ACTION! Kristina Medici	After a first travel in Malaysian Borneo on 2002 she created this .ORG and she's still keeping going to inform people about this valued but endangered species. You can be an "Activist" or a "Supporter" or just a "Follower". Choose the role you can afford, but don't be nobody! !